Below is a cool 360 degree panoramic view from the top of the Bigfoot Trap. 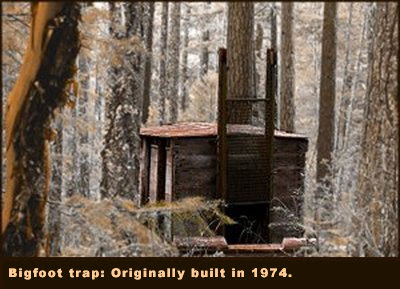 You can read about the history of this federally funded Bigfoot trap at our previous post aptly named, "FEDS FUND BIGFOOT TRAP." A couple minutes ago, can you see an immage on the uphill side of the trap? there is a trap simalar to that at the base base. of spirit mnt in grand ronde. used to play in it as a kid.1/2 mi past the orange gate on the left 200 yards off the road.